Large fully fenced section with big backyard and front deck. Enough space to camp on site if you wish. 5 minute walk to Kai Iwi Beach, Kai Iwi campground and kids playground. 15 minutes to Wanganui CBD. Elevated location with great cellphone coverage, located at the end of a dead end street which ensures privacy and security. 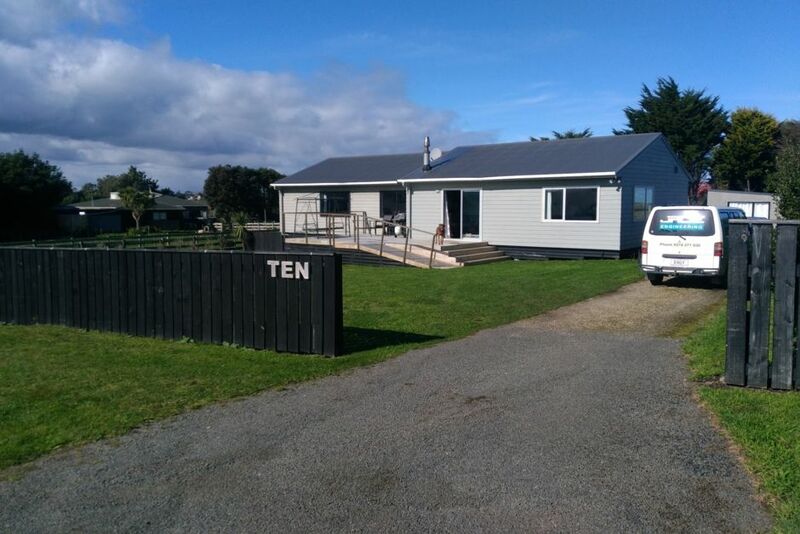 Enjoy a traditional kiwi summer holiday with beach views one side and farm views the other. Perfect location for backyard cricket and bbq's. Take advantage of the all day sun with main deck and lounge North Facing. Plenty of off street parking behind home to store any boats, jet skis, camper vans etc. Large shed if anything needs to be stored undercover. Family Home so we prefer family or families to stay.